Materials: Polyester (Water and Toxic Proof). Size: 180x180cm. Function: Waterproof Mildewproof. Colour: As picture. 12 x PVC plastic hooks. Function: Waterproof Mildewproof. Material: 100% polyester fabric. Pirate Fabric Shower Curtain with Hooks - 13 Piece Set. 1 Shower Curtain. Remax Design® is well known for producing high quality shower curtains that are both durable and beautiful. This shower curtain is no exception. 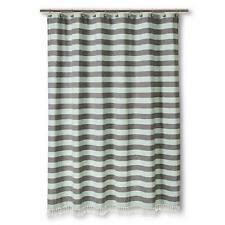 Featured on this shower curtain is the clear modern design. Plymouth Shower Curtain - Colors of burgundy, black, tan and a touch of green are combined in our Plymouth Collection in motifs of eight-point and primitive stars using plaid, solid, and checkered fabrics. 100% Polyester. The images we display have the most accurate color possible. However, due to differences in computer monitors, we cannot be responsible for variations in color between the actual product and your screen. Gray Black White Fabric Shower Curtain: Floral Medallion Geo Design, 72" x 72"
A harmonious combination of colors will work well with many existing bathroom color palettes. 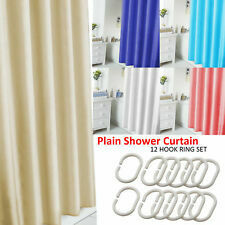 This curtain is made of soft microfiber fabric that will drape nicely on your shower curtain hooks or rings. The material is 100% PEVA, which is odor-free and does not off-gas like PVC curtains. This is a more healthy alternative to the PVC curtain's heavy plastic odors. Tip: You can use scissors or a sharp razor to cut a slit so the curtain can drape over your faucet and handles. 12 Resin Hooks. by Popular Bath. Check out the killer boots and rose combo, the punk rock butterfly, and so much more! 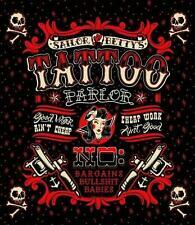 Made by Sourpuss. Punk Rock Girl Shower Curtain. 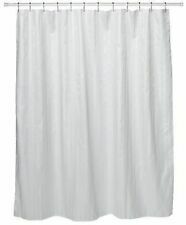 Resort Collection Shower Curtain. Multicolored Floral. Size 72" x 72". 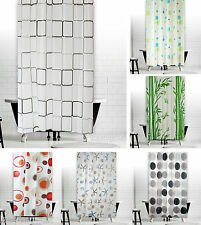 Machine wash.
15 Piece Embroidery Banded Shower Curtain Bath Set. Materials: Polyester (Water and Toxic Proof). Size: 180cm x 180cm. Turn your bathroom into a horror inspired haven with the Franken Gal Shower Curtain from Sourpuss! This treasure features a giant illustrated Frankenstein's monster's bride on a background of skulls and bats. 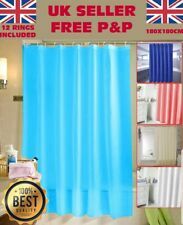 HEAVY DUTY SHOWER CURTAIN LINER MILDEW FREE WATERPROOF WITH MAGNETS NEW! 70" W x 72" L.
Deny Designs - Khristian A Howell / Bryant Park - Shower Curtain, 69" x 72"
Khristian A Howell / Bryant Park. Deny Designs. Shower Curtain. To get the most bang for your buck, start with an artistic, inventive shower curtain. Shower ring openings: buttonhole openings (shower rings not included). Deny Designs - Bird Avenue Washington Purple - Shower Curtain, 69" x 72"
Deny Designs. Shower Curtain. To get the most bang for your buck, start with an artistic, inventive shower curtain. Bird Avenue Washington Purple. Shower ring openings: buttonhole openings (shower rings not included). Linen Heavy Weight Hotel Quality 8-gauge Vinyl Shower Liner: 72" x 72"
Resists mold, mildew, and bacteria. high noon. Care Instructions: Wipe clean with damp cloth and mild anti-bacterial detergent. Size: 72" x 72". 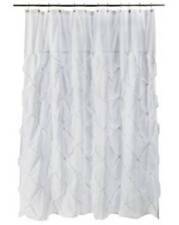 Carnation Home "Carmen" Polyester Shower Curtain in Spa Blue "Carmen" Blue ruffled tier 100% polyester fabric shower curtain, size 70"x72" Our "Carmen" Crushed Voile, Ruffled Tier Shower Curtain will surely bring a romantic "shabby chic" feel to any home. This unique, Standard-Sized (70'' wide x 72'' long) curtain is made of hand sewn, 100% polyester fabric that is fully machine washable. "Carmen" is sure to leave you singing each time you shower. Here in Spa Blue, "Carmen is available in a variety of colors and styles. 100% Polyester Color: Lt Blue Machine Wash Size: 70"x72" Hand Sewn. 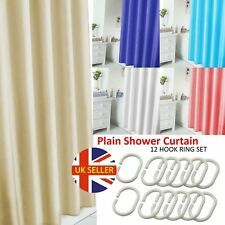 Gray 100% Polyester Waterproof Moroccon Bath Shower Curtain Rings Set 72x72"
Pillowfort PARAKEET PARADISE Fabric Shower Curtain 72"X 72"
Kenney Medium Weight PEVA Shower Curtain Liner, White 70" x 72"